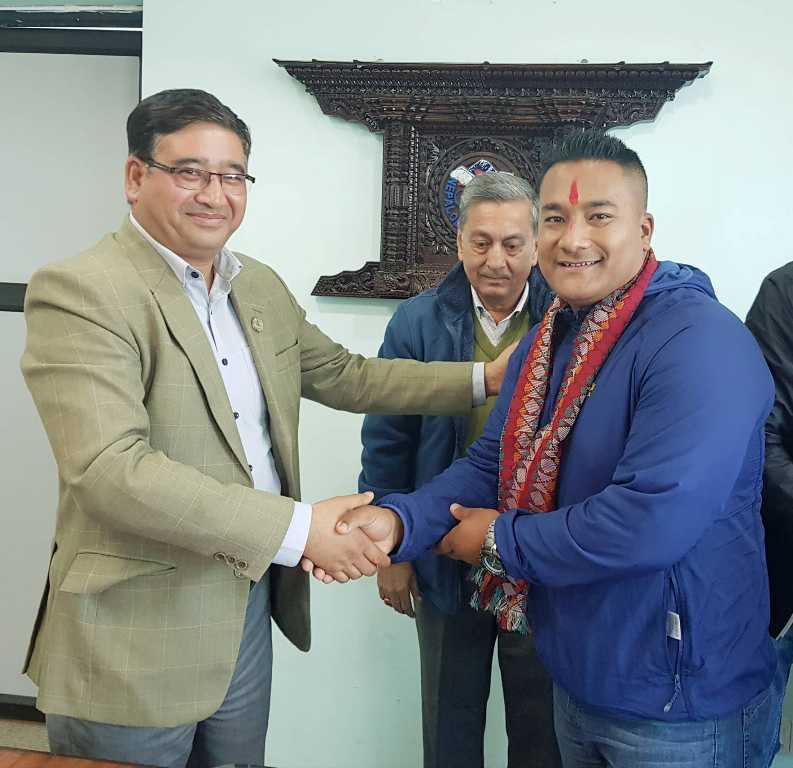 President of NOC/Member of Parliament Honorable Jeevan Ram Shrestha bade farewell to the participants of 3rd Continental Athletes Forum slated to be held in Tokyo, Japan on Nov 23- Nov 26, 2018. This Forum is aimed to create a tangible link between the IOC International Athletes Forum and those of the Continental Association to ensure the common topics of interest are deliberated and that all NOC Athletes’ Commissions are striving towards the same goals and providing the same level of support to athletes across the 5 continents both on and off the field. Shooting Athlete Olympian Ms. Sneh Rajya Laxmi Rana and Basketball Athlete Mr. Ashish Maharjan are departing for the forum today. In the program Honorable President Shrestha suggested the participants to learn different areas of development of sports from other developing countries and share the experiences afterwards. He also said that this is a great opportunity to grasp knowledge about different techniques for their respective sports. In the program Treasurer of NOC Mr. Ratan Kumar Tandon and Executive member Mr. Nilendra Raj Shrestha were also present.